US Legal Forms provides online legal documentation and business formation services. Its features include state-specific forms, LLC and corporate management, professional letters, legal guides, and more. In this article, we cover US Legal Forms reviews and pricing. Ready to get started? Visit its website. As of the date this article was written (February 21, 2019), there are no up-to-date US Legal Forms reviews online. If you are a past or current US Legal Forms user, leave a review to help others who are deciding whether or not to use the product. Which Online Legal Service Is Right for You? What’s your budget for online legal services? Do you want to have continuous access to legal documents? Are you looking for help in forming an LLC for your business? US Legal Forms has three pricing options. The most affordable one is their Basic Plan, which starts at $199 plus filing fees. Their most expensive plan is the Complete Plan, which costs $324 plus filing fees. The main difference between the pricing plans is access to advanced features such as LLC Kit, custom member certificates, and more. US Legal Forms also has two subscription pricing options for access to legal forms only: Personal ($19.95/month) and Business ($29.95/month). The Personal plan includes 2,000+ state-specific forms, while the Business plan offers more than 5,000 forms. Ready to get started with US Legal Forms? Visit its website. How can US Legal Forms help expedite the process of LLC formation? 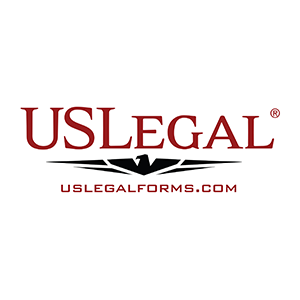 US Legal Forms offers a complete LLC formation package that includes instructions and forms for registering a legitimate LLC in a specific state. The package also contains articles of incorporation, transmittal letters, operating agreements, and other necessary forms. Can US Legal Forms help with filing for Chapter 7 bankruptcy? Yes. US Legal Forms has bankruptcy packages that are available for each bankruptcy district in the unit. It includes instructions, forms for filing chapter 7 bankruptcy, procedures, exemption information, court contact information, and more. Have you read these US Legal Forms reviews and are still not sure if it’s the right fit for you? Read our reviews of all top online legal services.